ALIQUID: FingerFood's Theme Buffet #4: Sparkle! It's time once again for FingerFood's Theme Buffet! This weeks' theme is sparkle, and of course I had a million options to choose from, but I decided on some polishes I just recently got my hands on. I participated in a nail polish Secret Santa alongside Andrea of Indigo Bananas, and I wound up with nine new bottles of IB! 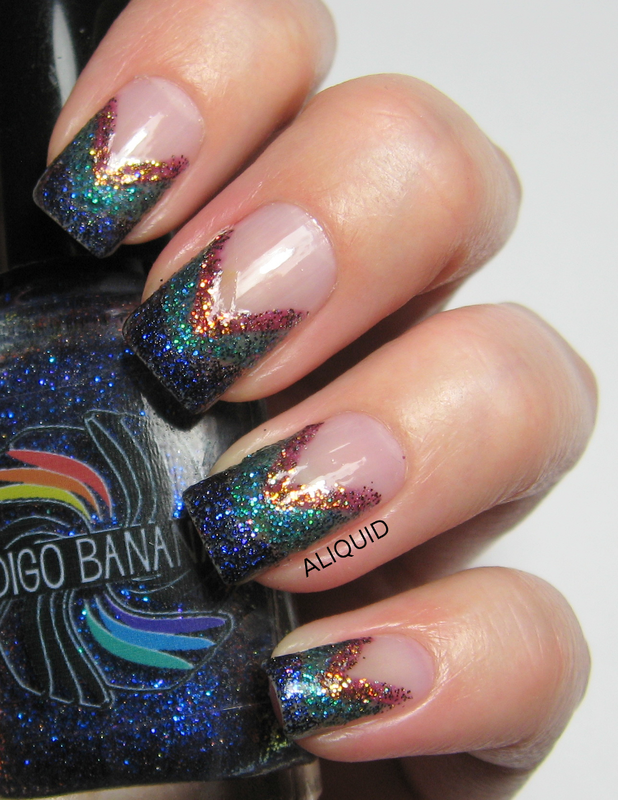 Three of them are these awesome color-shifting microglitters in tinted bases, and I used them all for this mani. 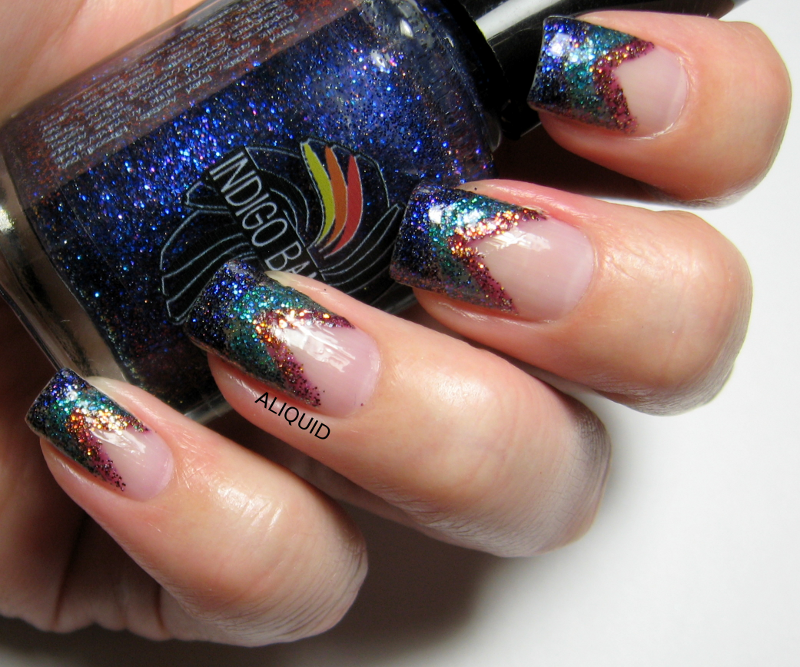 My inspiration was this sparkly chevron mani from Nail Addicted Sisters. I feel so glam right now!! The polishes are, top to bottom: Indigo Bananas 2% Butterscotch Ripple, We Are the Music Makers, and Pure Imagination. I didn't really show off the color shifts here, but I plan to wear each of these alone later on and show you the magic! Check out the other lovely ladies' sparkly nails below and on our Pinterest board! This is so amazing!! The contrast between bare nails and super glam sparkle is pure magic. Wow you did a great job! Those colors and sparkles look amazing together! Feel free to join in on this one! I can get you into the Facebook group if you're interested.